Gameloft was very quick in releasing some of their major titles for Windows Phone 8 and Windows 8, but the frustrating this is that they have failed to release updates for these titles while they have received a significant number of updates for iOS and Android. 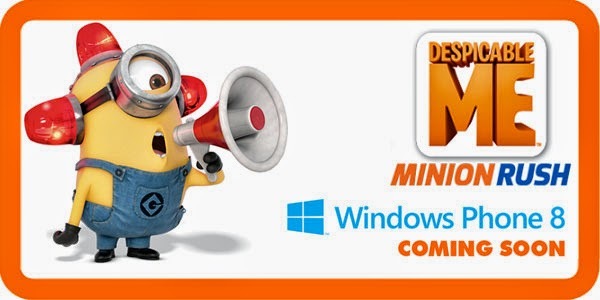 Fortunately it looks like the publisher is planning a major update for Despicable Me: Minion Rush for Windows Phone. The developers of the game have announced that the game will receive new features and content this May. Additionally the team has stated that they will be following up by seeding out even more updates this summer so stay tuned for more. We hope that Gameloft starts updating Asphalt 8 along with other titles as well.